There have been loads of inquiries about whether we have chosen a name yet. We have even had a few suggestions, like Hot Dog, Alma, Good Luck Charlie, Penelope, Ruby, Molly, and Daisy. Well, we are happy to announce that we have finally settled on a name for our darling little girl. 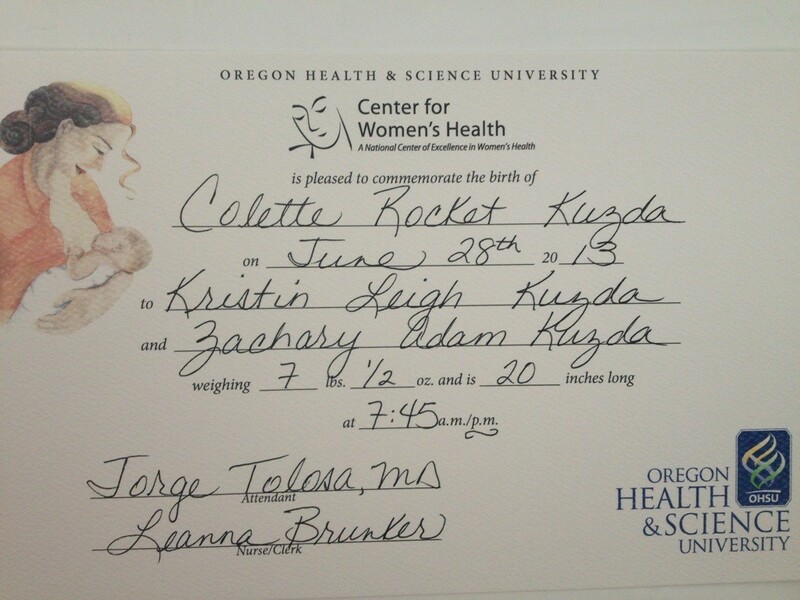 Welcome to the world, little Colette Rocket Kuzda. Better luck next time, Charlie! Great Grandma Dee’s Uncle Zack has a daughter named Colette. Wow, Colette what a great name for a beautiful little girl.! Love the picture looks like Zakk is enjoying holding her while you are (hopefully) resting in bed. You are both awesome! CONGRATULATIONS!!!! afterwards I’ll tell you what her name means in portuguese. Good luck. now begins the real work. Not sure if “Colette” originates from a family member, but it clearly conveys a stylish french “une femme élégante” air that our little girl naturally assumes. But of course, as a former naval aviator I will feel compelled to refer to her henceforth as “Rocket”. 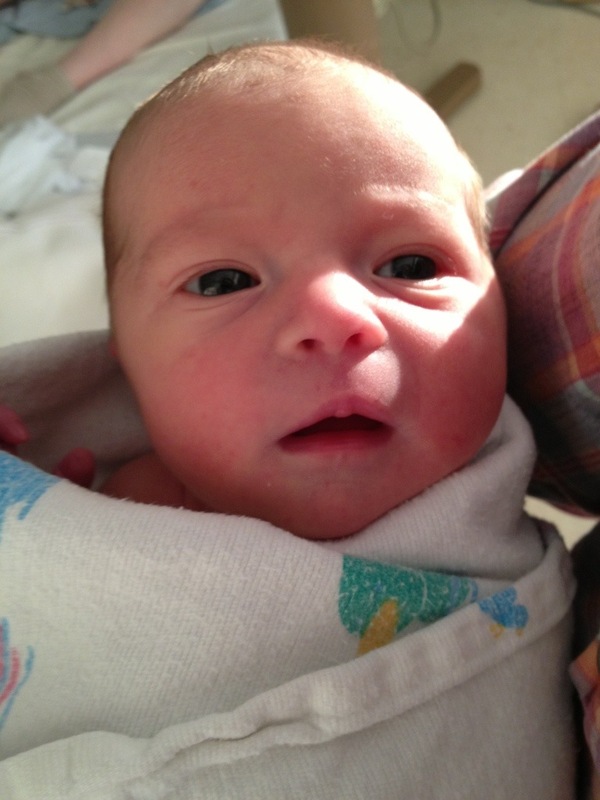 You are one beautiful baby.